I was excited to receive an intriguing cloth-bound package in the mail. It was tea mystery waiting to be unwrapped. It is definitely one of the most uniquely packed shipments I've received. Inside were two teas from Darjeeling Tea Boutique, and I couldn't wait to try them. 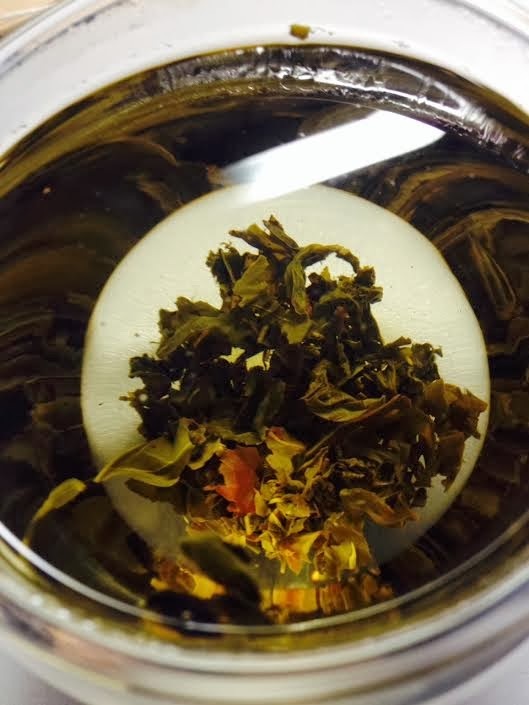 Today's review is for the Green Tea from the Puttabong estate. 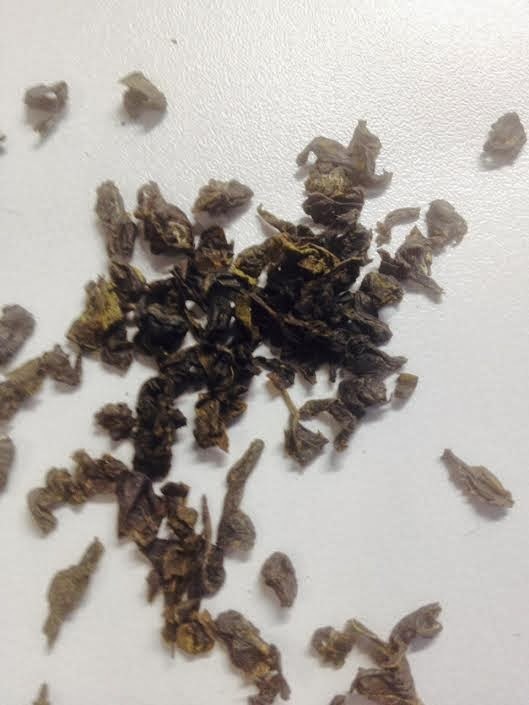 The dark dry leaves are sweet and slightly floral. The brewed aroma is subtle sweetness and notes of cooked asparagus and spinach. The tea is gentle and refreshing with reminders of those dark leafy greens. Spinach comes back to mind, and also kale. 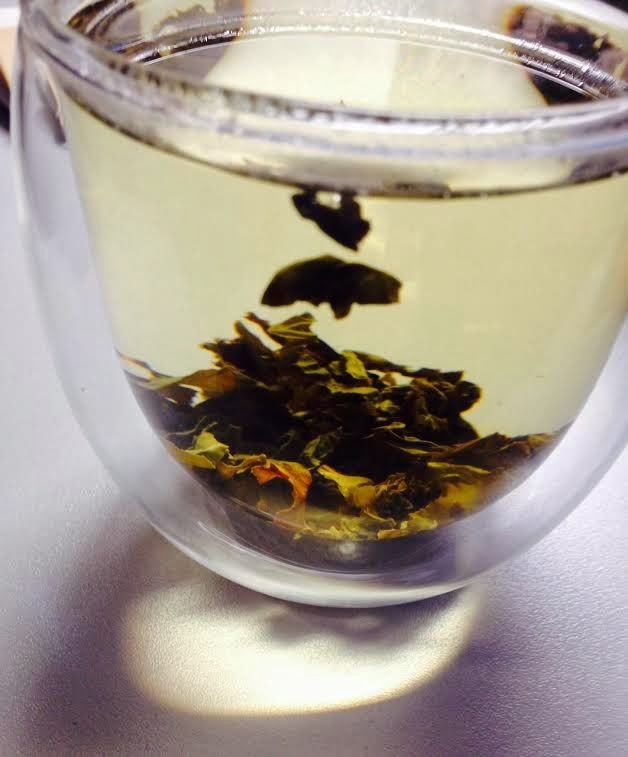 Even with the green vegetal taste it is a light, delicate tea perfect for the late morning or afternoon. I could see this being pleasant as an iced tea in the summer. I don't have much experience with green teas from Darjeeling, and I am very happy to have tried this one. The owner Niranjan is directly involved with the company, and he takes great pride in his tea. 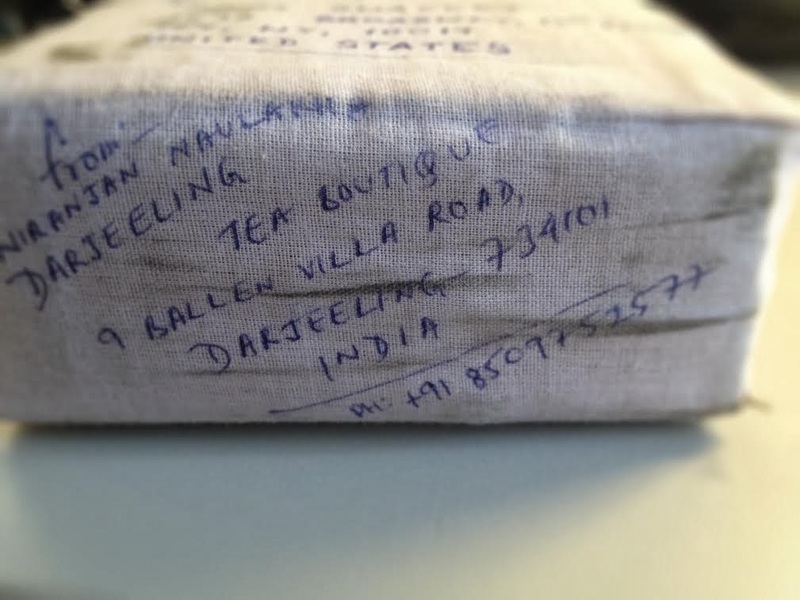 The tea ships directly from Darjeeling which is as about as close to the source as you can get. You can learn more facts about the Puttabong estate here. The other sample I have to try is a 1st flush Darjeeling. Review will be coming soon. I noticed Dajreeling Tea Boutique also offers white teas from Darjeeling estates, something I've definitely never tried before. I will have to place an order soon.